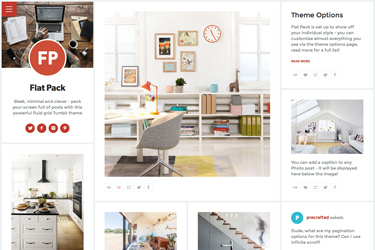 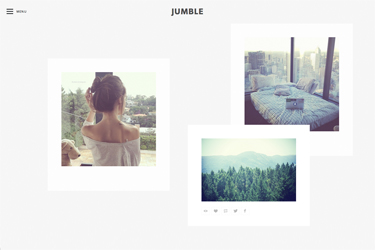 A bold, minimal and super-customizable grid theme perfect for all kinds of blogs. 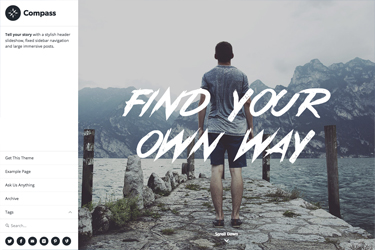 This beautifully organic layout gives your blog a unique look and feel, with posts randomly placed to create a different layout each time. 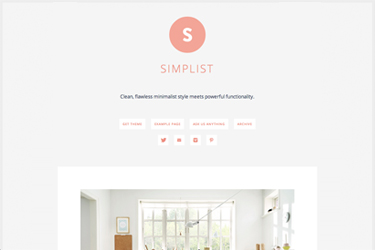 The perfect theme for minimalists - all the features you need and nothing more, presented beautifully. 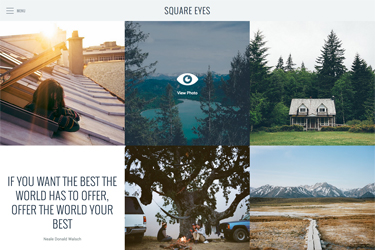 Make a huge impact with this super-size, parallaxing responsive grid theme! 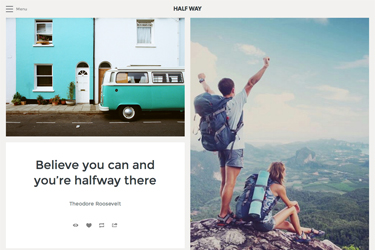 Awesome hover interactions and a fluid square grid to show off your masterpieces. 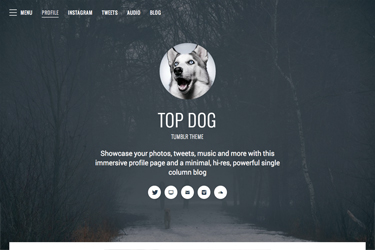 Showcase your photos, tweets, music and more with this immersive profile page and a minimal, hi-res, powerful single column blog. 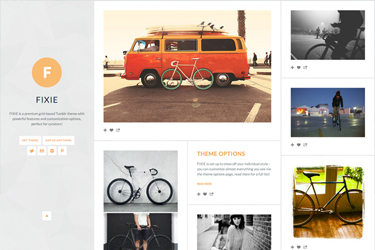 Sleek, minimal and clever - pack your screen full of posts with this powerful fluid grid Tumblr theme. 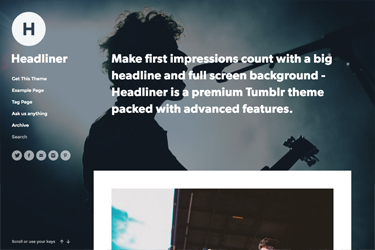 Make first impressions count with a big headline and full screen background - Headliner is a premium Tumblr theme packed with advanced features. 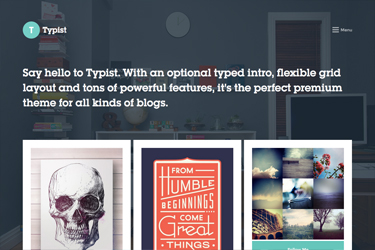 Say hello to Typist. 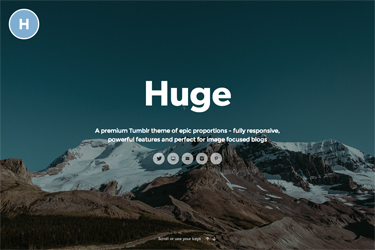 With an optional typed intro, flexible grid layout and tons of powerful features, it's the perfect premium theme for all kinds of blogs. 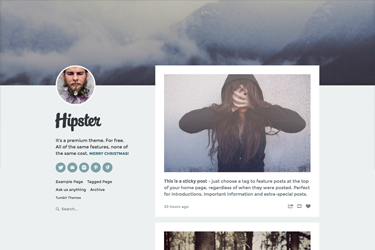 Tip-Top is a powerful Tumblr theme with a header slideshow, flexible grid or single column layout, and loads of advanced features. 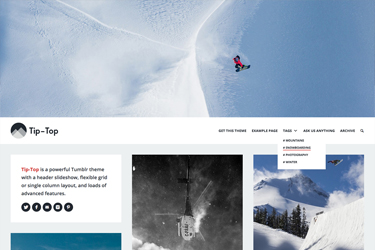 Tell your story with a stylish header slideshow, fixed sidebar navigation and large immersive posts. 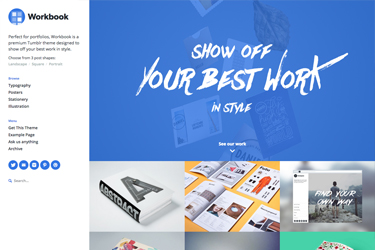 Perfect for portfolios, Workbook is a premium Tumblr theme designed to show off your best work in style. 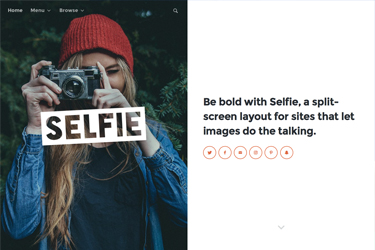 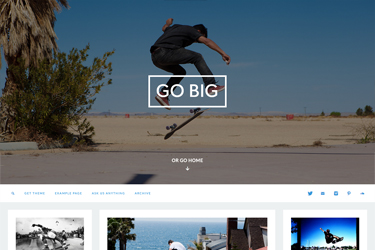 Be bold with Selfie, a split-screen layout for sites that let images do the talking.